Mosque at Johfah near Rabigh, the Hejaz, Saudi Arabia. The event is reported to have occurred somewhere here. The event of Ghadir Khumm (Arabic: حديث الغدير; Persian: رویداد غدیر خم) occurred in March 632. While returning from the Farewell Pilgrimage, the Islamic prophet Muhammad gathered all the Muslims who were with him and gave a long sermon. In the sermon, Muhammad announced that Ali ibn Abi Talib would be his successor. This sermon included Muhammad's famous declaration that "to whomsoever I am Mawla, Ali is also their Mawla." The Prophet Muhammad also described Ali with the leadership titles Imam, Ameer, and Khalifah in the lengthy speech. After the sermon, the following verse of the Qur'an was revealed: "This day I have perfected your Religion for you: Completed My favor upon you, and have chosen For you Islam as your Religion." This verse (the fourth verse of Surah Maidah, the fifth chapter of the Qur'an) was the last verse of the Qur'an to be revealed. In addition, after the sermon, Muhammad instructed everyone to pledge allegiance to Ali. This event, which over one hundred thousand people were present at, is considered to mark the completion of Islam. It is also known as the official appointment of Ali as Muhammad's successor. The day's anniversary in the Islamic calendar (18 Dhu al-Hijjah) is celebrated by Muslims (primarily Shia Muslims) as Eid-e-Ghadeer. Ten years after the migration and on the last days of Dhu al-Qi'dah (coinciding with 632 in the Gregorian calendar), Muhammad moved from Medina to Mecca accompanied by thousands of his followers. He only once attended Hajj rituals, a few months before he died. Since this Hajj took place in the last year of his life, he made his farewells to people. Ali was in Yemen, preaching Islam, when he was informed about Muhammad's Hajj, so he moved towards Mecca together with some people and joined Muhammad before rituals began. When the rituals of Hajj were finished, Muhammad left Mecca for Medina together with other Muslims. O Messenger! proclaim the (message) which hath been sent to thee from thy Lord. If thou didst not, thou wouldst not have fulfilled and proclaimed His mission. And Allah will defend thee from men (who mean mischief). For Allah guideth not those who reject Faith (5:67). According to the verse, Muhammad was obliged to proclaim an important message. The verse clearly denotes the importance of the message, by saying that if he does not announce it, then he has not performed his mission. After revelation of the verse, Muhammad ordered the caravan to stop, and ordered those who had passed Ghadir Khumm to return, and for them to wait there until the arrival of those who were still on their way. Both Shia and Sunni sources state that this verse relates to the event of Ghadir Khumm. According to Sunni traditional narratives, this verse was revealed during the event, and over 360 Sunnis traditional scholars have mentioned about Ghadir and its connection with the mentioned verse. On the way back to Medina from Mecca, Muhammad ordered his companions to stop at Ghadir Khum and delivered a lengthy sermon. The most well-known part of the sermon occurred when he raised Ali's hand and said, "whomever I am his Mawla, this Ali is his Mawla." When Abu Bakr and Umar heard this, they said to Ali: "O son of Abu Talib, you have become the Mawla of every male and every female believer, morning and evening, congratulations." O people, I will go ahead of you and you will arrive at my Pond (in Heaven) which is wider than the distance between Basra and San'a. It has receptacles as numerous as the stars, and two cups of gold and two of silver. I will ask you about the two weighty things that I have left for you when you come to me to see how you dealt with them. The greater weighty thing is Allah's book—the Holy Qur'an. One end is in Allah's hand and the other is in your hands. Keep it and you will not deviate. That other weighty thing is my family (Ahl al-Bayt) and my descendents. The Most Kind the Omniscient had told me that both of them, would not separate until they come to my Pond. This day have those who reject faith given up all hope of your religion: yet fear them not but fear Me. This day have I perfected your religion for you, completed My favour upon you, and have chosen for you Islam as your religion (5:3). Sunni Muslims believe this verse was revealed during the Farewell Pilgrimage of the Prophet Muhammad on the Day of Arafah, the ninth day of Dhul Hijja. Only then, Muhammad left the rostrum, and gave the order for the establishment of a tent in which Ali would sit to receive the allegiance oath of Muslims. Thousands of people, group by group, including women, went to him and saluted and congratulated him as Amir al-Mu'minin, commander of the faithful. Umar ibn Al-Khattab was the first to offer congratulations. On the completion of Muhammad's sermon, Umar said, "Congratulations to you, Ali! This morning has brought you a great blessing. Today you have become the Mawla of all believing men and women." At a later occasion when Umar was asked about his special treatment to Ali as compared to other companions, his reply was, "He is my master." Shias believe that, with Muhammad's approbation he recited verses in honour of Ali. The verse are recorded in Ibn Shahrashoub and affirms that ʿAlī was named as the successor of Muhammad on the day of Ghadir Khum. Mir Sayyid Ali Hamadani, writes in his book, Mawaddat al-Qurba in Mawadda 5, that many companions quoted Umar in different places as having said that Muhammad made Ali the chief and leader of the nation and that Muhammad announced publicly that Ali was their master. Umar was also quoted saying that on the day of that announcement, a handsome youth was sitting besides him and that the youth said to him, "Surely, the Prophet has bound a covenant which none but a hypocrite would break. So Umar! Avoid breaking it." When Umar told Muhammad about the incident, Muhammad said that the youth was not of Adam's (Adem) progeny but was Gabriel (Jibril) and was stressing the point about Ali. It is also reported that Abu Bakr said to Ali, "Well done Ibn Abi Talib! Today you became the leader (Mawla) of all believing men and women." Abu Bakr, Umar, and Uthman are all said to have given their allegiance to Ali, a fact that is reported by both Shia and Sunni sources. The word mawla is significant in the first narration of this hadith, and can refer to a leader, client, patron, friend, partner, ally or numerous other similar relationships. Twenty-seven (27) different meanings are given for the word mawla and hence the exact meaning should be derived from their syntactical and situational contexts. Unlike the words "Imam, Ameer, Khalifah, Ulil-Amr, Sultan" which are very clear words to describe leader, the word "Mawla" is more ambiguous. However, Shias argue that the context of the sermon makes it clear that the word Mawla is meant as leader. In addition, Muhammad did use the words "Imam," "Ameer," and "Khalifah" to describe Ali elsewhere in the sermon. It is also noteworthy that the Prophet used many titles for Ali in the sermon. The words "Wali," "Mawla," and "Imam" were used over 27 times, indicating that Ali as the successor to Muhammad in a spiritual sense, as well as a political sense (as the word "Khalifa" was used three times in the sermon). Hence, the sermon established Ali's right as the political and spiritual successor to Muhammad. According to some, the event of Ghadir Khumm took place because of a dispute between Ali and two sahaba in Yemen prior to the Farewell Pilgrimage. When Muhammad found out about this dispute, he ordered his companions to never anger Ali. The dispute was thus resolved with Muhammad's statement before the Farewell Pilgrimage. This indicates that there was no need to gather over a hundred thousand people around to discuss the dispute after the pilgrimage, as the dispute had already been settled. However, it is also noted in a key Shia text of Shaykh al-Mufid that the complaints against Ali had not ended and not settled until the declaration of Ghadir Khumm and are thus recorded under the section 'The Prophets Farewell Pilgrimage and the Declaration at Ghadir Khumm." Shaykh al-Mufid, Kitab al-Irshad (trans. IKA Howard),p. 122. 110 Sahabah (companions) of Muhammad: Umar, Uthman, Aisha, Abu Hurairah, Abu Dhar al-Ghifari, Salman the Persian, Ammar ibn Yasir, Zubayr ibn al-Awam, Jabir ibn Abd Allah, and others, who were all present at Ghadir Khum and narrated the event directly. 83 of the Tabi‘un (followers): Salim ibn Abd-Allah, Umar II, Tawus ibn Kaysan, and etc. 360 Sunni scholars of 2nd to 4th century AH: Abū ʿAbdullāh Muhammad ibn Idrīs al-Shāfīʿī (the founder of the Shafi'i school), Ahmad ibn Hanbal (the founder of the Hanbali school), Al-Nasa'i, Ibn al-Maghazili, Ahmad ibn Abd Allah, and Ahmad ibn Abd Rabbih. Shia Hadith scholars: Muhammad ibn Ya'qub al-Kulayni, Ibn Babawayh, Al-Shaykh Al-Mufid, Sharif al-Murtaza, and etc. This Hadith is considered to be Hasan by many scholars, and some consider it Sahih. Furthermore, all Shia Hadith scholars, and some great Sunni scholars, consider this Hadith to be Mutawatir. Shia scholar Sheikh Abdul Hosein Amini collected all the references for the event of Ghadir Khum from Sunni sources and issued them together with all other reasons for this event in eleven volumes in of his book Al-Ghadir. Abd Al Husayn Amini, Iranian Shia scholar also has gathered narrations of more than 110 companions (Sahaba) of Muhammad, as well as 40 followers of Muhammad about this event in his book named Al Ghadir. 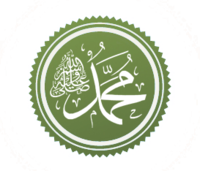 After the death of Muhammad, a gathering at Saqifah elected Abu Bakr, rather than Ali, to be the successor of Muhammad as the first Rashidun Caliph. This choice was disputed by some Muslims, who believed that Ali had been appointed as successor. This dispute led to the schism between Sunnis and Shias. After the First Fitnah, during the days of the Umayyad Caliphate, when Muawiyah arrived (in Mecca) during one of his pilgrimages, accordingly, Sa`d ibn Abi Waqqas came to see him, and they happened to mention Ali. Muawiyah disparaged Ali. As a result, Sa`d became angry and said: "You are speaking of this man! I have heard the Messenger of Allah—peace and salutation of Allah be upon him—declare (On the day of Ghadir): "Of whomsoever I am the Mawla, then Ali is his Mawla." I have (also) heard him say: 'You Ali are to me in position that Harun was to Musa, except that there is no prophet after me (See Hadith of position)." And I have heard him announce: "Today I am indeed going to hand over the banner to a person who loves Allah and his Messenger, and Allah and his Messenger also loves him." Shia Muslims celebrate the occasion of Muhammad declaring Ali as his successor on the 18th of Dhu al-Hijjah. Fasting, doing Ghusl (ritual bath), reciting the Du'a Nudba, and giving food to believers is among recommended practice of Eid al-Ghadeer. It is a public holiday in countries such as: Iran, India, Azerbaijan, Saudi Arabia, Iraq, UAE, Yemen, Afghanistan, Lebanon, Bahrain and Syria. The Shia Muslim also celebrate Eid Ghadir in Europe and Americas, among in: The U.S., England, Germany, France, and so on. ^ Man kunṫu mawlāhu fa-ʿAlī mawlāh (Arabic: مَـن كُـنـت مَـولاه فَـعَـلي مَـولاه‎). ^ "Iran Public Holidays 2018". Retrieved 21 August 2018. ^ "Special security measures in Najaf ahead of Eid Al-Ghadir". 17 September 2016. Retrieved 19 September 2016. ^ "Iran Public Holidays 2016 and 2017". Retrieved 19 September 2016. ^ a b c Majd, Vahid. The Sermon of Prophet Muhammad (saww) at Ghadir Khum. pp. 17–18. ^ Razwy, Sayed Ali Asgher. A Restatement of the History of Islam and Muslims. p. 274. ^ Razwy, Sayed Ali Asgher. A Restatement of the History of Islam and Muslims. p. 276. ^ "Event of Ghadir Khumm". Al-Islam.org. Ahlul Bayt Digital Islamic Library Project. ^ "Imam Khomeini defined Ghadir as most magnificent feast". Retrieved 1 September 2018. ^ "همه چیز درباره عیدغدیرخم/ اینفوگرافیک". پايگاه خبری افکارنيوز. ^ a b Al-Shaykh Al-Mufid, Muhammad. Irshad. Qom: Maktaba Basirati. p. 91. ^ Shaykh Tabarsi, Ahmad ibn Ali. al-Ihtijaj. 1. Mashhad: Nashr al-Murtaza. p. 56. ^ a b Al-Shahrastani (1984). Kitab al–Milal wa al-Nihal. London: Kegan Paul. pp. 139–140. ^ "The verse 67 of Al-Ma'ida chapter". ^ Al Ghadir (Arabic: الغدير في الكتاب والسنة والأدب) (that is "The Ghadir in the Book, the Sunnah, and Literature") is a 20-volume book written by the Great scholar Abd Al Husayn Amini. ^ a b c d Veccia Vaglieri, Laura. "G̲h̲adīr K̲h̲umm". Encyclopædia of Islam, Second Edition. Brill Online. Retrieved 28 March 2013. ^ Dakake, Maria Massi (2007). The charismatic community : Shiʻite identity in early Islam. Albany: State University of New York Press. pp. 34–37. ISBN 978-0791480342. ^ Tahir-ul-Qadri, Dr Muhammad (2005). The Ghadir Declaration. Tehreek-e-Minhaj-ul-Quran. p. 26. ISBN 978-9693205138. ^ Dhahabi, Shams al-Din. Siyar A'lam Al-Nubala'i. Dar Al-Hadith. pp. 623–624. ^ Al-Manaaw, Abdur Raoof. Fayd Al-Qadeer. Dar al-Hadith. p. 217. ^ al-Bahrani, Seyyed Hashim. Al-Burhan Fi Tafsir al-Quran. 1. pp. 434–437. ^ Makarem Shirazi, Naser. Tafsir Nemooneh. 4. pp. 263–271. ^ Sobhani, Ja'far. Al-Iman va al-Kofr fi al-Ketab va al-Sunnah. 1. p. 244. ^ "Tafsir Ibn Kathir Online". ^ Ahmad ibn Hanbal, Ahmad. Musnad Ahmad ibn Hanbal. 4. Beirut: Dar al-Ihya al-Torath al-Arabia. p. 281. ^ a b Amini, Abdul Hosein. Al-Ghadir. 1. Qom: Dar al-Kotob al-Islamia. pp. 9–30. ^ Bernards, Monique; Nawas, John Abdallah (2005). Patronate And Patronage in Early And Classical Islam. BRILL. ISBN 978-90-04-14480-4. Archived from the original on 1 May 2016. ^ Mutahari, Murtada (2001). Wilayah, the Station of the Master (PDF) (Fourth ed.). Tehran: WOFIS. Archived (PDF) from the original on 4 March 2016. ^ "Appointment of &#039;Ali: Explicit or Implicit?". Al-Islam.org. Archived from the original on 7 January 2017. ^ Wilferd Madelung, The Succession to Muhammad, 18. ^ "18 - The Life of Imam Ali: Ghadir Khumm - Dr. Sayed Ammar Nakshwani - Ramadhan 1435". YouTube. YouTube. ^ Muhib al-Din al-Tabari, Ahmad ibn Abdullah. Zakhayer al-Oqba. Cairo: Maktabat al-Qodsi. p. 67. ^ ibn Oqde, Ahmad ibn Muhammad. al-Vilaya. Qom: Dalil-e Ma. pp. 150–152. ^ ibn Maqazeli, Ali ibn Muhammad. Manaqib. Beirut: Dar al-Adhwa. p. 69. ^ Himaway al Juwayni, Ibrahim b Muhammad. Fara'id al-Simtayn. Beirut: Mahmudi. p. 315. ^ Ibn al-Jazari, Muhammad. Asna al-Matalib. Isfahan: Maktabat al-Imam Amir al-Mu'menin. p. 48. ^ Ibn 'Abd al-Barr, Yusuf ibn Abdallah. The Comprehensive Compilation of the Names of the Prophet's Companions (Arabic: الاستعياب في معرفة الاصحاب). 3. Beirut: Dar al-jil. p. 1099. ^ Al-Khasa'is, narrated by Auf, from Ibn Maymun, from Zayd bin Arqam, p. 22. ^ Mizanul-I'tidal, Amr Dhi Mur, from Imam Ali, vol. 2 p. 303. ^ Amir-Moezzi, Mohammad Ali (2014). "Ghadīr Khumm". In Fleet, Kate; Krämer, Gudrun; Matringe, Denis; Nawas, John; Rowson, Everett (eds.). Encyclopaedia of Islam (Third ed.). doi:10.1163/1573-3912_ei3_COM_27419.